Reading F. Scott Fitzgerald’s penultimate novel, “Tender is the Night,” saddened me, because it showed a once-great man struggling—and failing—to write a novel worthy of his prodigious talent and storied past. Reading “The Last Tycoon” saddens me, because he found that novel, then suddenly died before he could finish it. “The Last Tycoon” tells the story of Hollywood golden boy Monroe Stahr. He’s a good guy, pays his people well, and works hard to make good, profitable films—he’s not even afraid to green-light a film that will lose $250,000 dollars, simply because it will be brilliant. Monroe is a widower, his work now his mistress. One night, a water main breaks during an earthquake, and two young women are being swept away in the deluge. He manages to rescue them. One of the girls looks like his late wife. Monroe is intrigued, and searches her out. Her name is Kathleen Moore, and she’s probably the only young woman in Hollywood not looking for movie stardom. Monroe finds himself smitten, but Kathleen has a secret. Monroe himself is the lust-object of Cecilia Brady, twenty-year-old daughter of Stahr’s business partner. Cecilia wants Stahr in a most grown-up way, even though he looks at her rather like a niece. Naturally, she becomes jealous of the mysterious woman who captures Monroe Stahr’s heart. That’s where Fitzgerald’s manuscript ends, after a bombshell revelation. I literally swore. I mean, I knew it was incomplete, but why couldn’t he have written another chapter? Or two? His writing was strong, beautiful, and sharp again, so why couldn’t he have just skipped over “Tender is the Night,” and written this one to completion? Why, literary gods, why? I think the reason is Hollywood. The author had, of course, spent his final years working in Hollywood, miserably writing miserable screenplays just for the big paychecks he needed. The downside is that he wasn’t especially happy with this new world. The upside is that it pulled his head out of the whole creatively stifling “Scott & Zelda, Jazz Age Royalty” rut he’d been stuck in. Fitzgerald’s four previous novels were either thinly veiled autobiography, or featured characters based on himself and Zelda, thrust into some fictional realm or another. “Tycoon” features characters either completely fictional, or based on various Hollywood personae (Stahr is supposedly Irving Thalberg). I found a couple of snippets that were probably from Fitzgerald’s perspective—when Stahr explains to a whiny novelist the difference between novel-writing and screenwriting. After Fitzgerald’s narrative ends, there are various materials explaining where he intended the book to go. There’s a summary, cobbled from letters, conversations with his friends and editors, et al. There are the author’s own notes from the manuscript, explaining changes he was planning to make to his manuscript, plus his own outline and character sketches. Based on these posthumous additions, it’s hard to know how good “Tycoon” could have been. 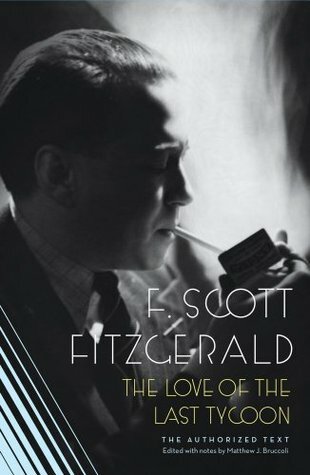 If Fitzgerald had continued along the narrative’s natural arc, I think “The Last Tycoon” could have been his masterpiece. If he followed-through on his notes and outlines, I think it could have fizzled in unnecessary melodrama. It would be interesting to see his notes and outlines on “The Great Gatsby” at the same point of evolution, just to see how faithfully he normally adhered to his original plans. The sad part is, we’ll never know, unless we can check it out from The Afterlife Public Library, if such a thing exists. For now, “The Last Tycoon” exists as three novels. It’s the novel that follows where we as readers imagine it will go. It’s the novel that closely adheres to the author’s outline and notes. Mostly—sadly—it’s the novel that ends entirely too damned soon.